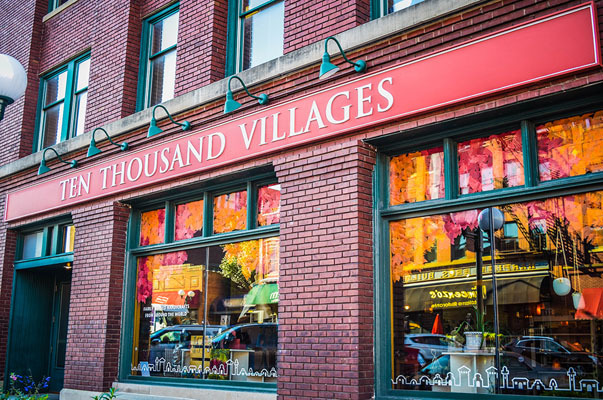 Ten Thousand Villages - 140 N. 8th St. Whether you are a yoga pro or complete beginner, visit us for an evening of relaxing yoga led by our volunteer extrodanire Becke Grundman! Becke studied exercise science at UNL and has been a certified personal trainer and fitness instructor for over 13 years. She is in the process of becoming a 200 hour registered yoga teacher (RYT 200) through YogaFit. Suggested free-will donation of $5/person to participate. -- Arriving at 6:00pm or shortly before the class starts -- after 6:20 we will lock the doors to maintain a quiet atmosphere for our participants. -- Bringing your own yoga mat or a bath towel to use as mat. There will be a couple of extra mats available, but we cannot provide or guarantee a mat will be available for everyone.